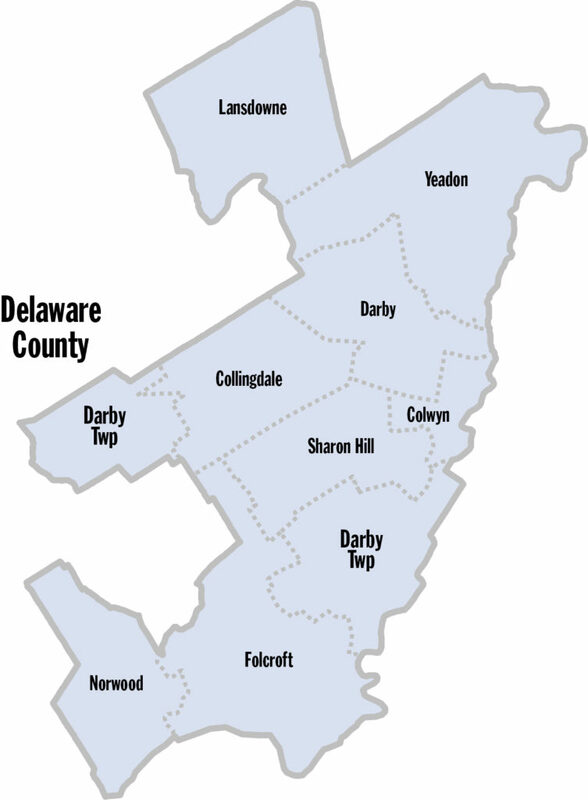 A dozen Delaware County communities of varying size and makeup compose this segment of the 8th Senatorial District * Collingdale, Colwyn, Darby, Darby Township, Folcroft, Glenolden, Lansdowne, Norwood, Prospect Park, Ridley Park, Sharon Hill, and Yeadon. These diverse communities represent the best of America. Each borough and township has its own elected leaders. Meeting Dates: First Monday at 7:30 P.M.
Meeting Dates: Second and Third Thursdays at 7:30 P.M.
Meeting Dates: Workshop First Monday 7:30 P.M., Council Third Thursday 7:30 P.M.
P. O. Box, 159, Hook Rd. & Greenhill Rd. Baltimore Pike & Church Rd. WPSD Cyber Academy – Adm. Bldg.